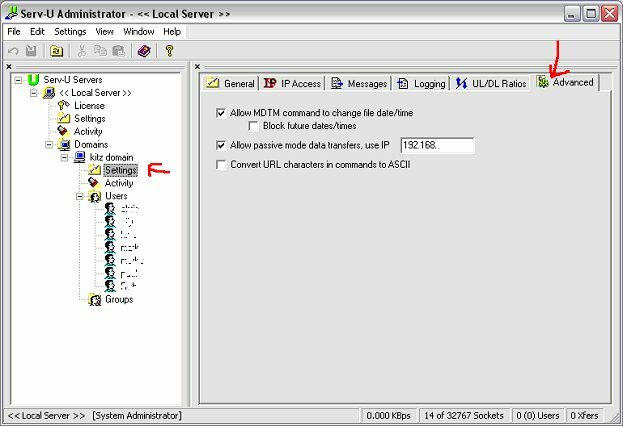 Configuring Serve-U for a NAT router. Its easier to show a screen caps to show what info you should have in where. First of all for your domain check that your IP address is shown correctly and that you have passive mode set. Now we need to set up a port range for the router to use. So from the local Server Settings go to the advanced tab, and type in the range of ports which Serve U should be listening on. 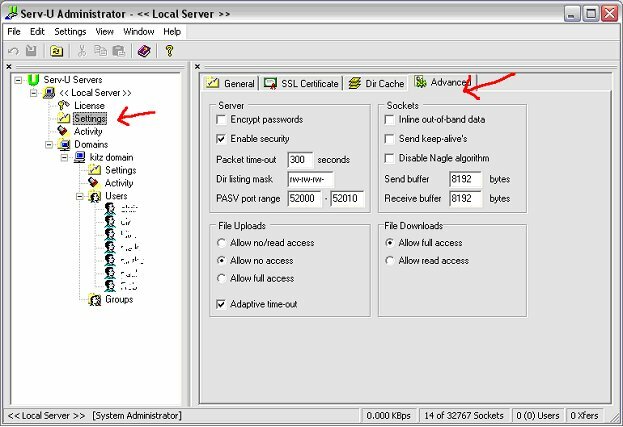 See next page for router configuration.